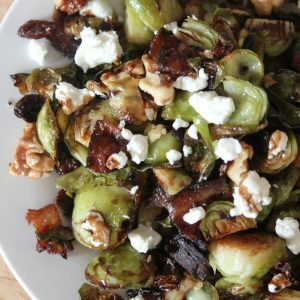 Do you guys remember when brussels sprouts were the mean stepmother of all vegetables? Growing up they were just the WORST. The WORST! Perhaps because all we did to them back in the 80’s was steam them and yeah, that’s gross. But now that it’s a new era and everybody is a foodie and we all know how to properly cook them. 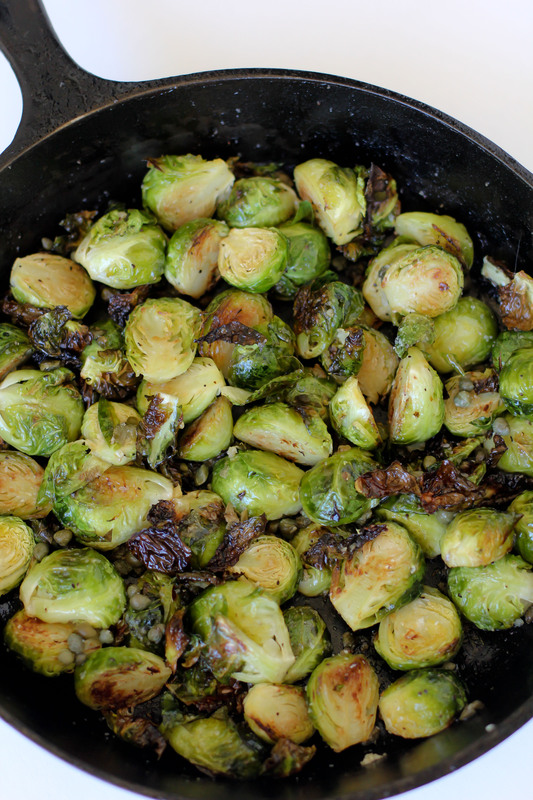 We now know brussels sprouts are king of kings. God, I love a good comeback / underdog story. So here we are, brussels are back baby! So what are some yummy ways to cook ’em up that won’t be reminiscent of the soggy, stinky brussels of 1985? Well for one, you can make my Best Ever Brussels, those are pretty darn amazing themselves. I guess they have to be if I so boldly named them “Best Ever”. But the truth now is maybe THESE are the “Best Ever”? My 4 year old certainly seems to think so as she wanted to eat the entire pan herself. Had I let her, I honestly think she would have done it. That girl has a stomach to rival Kobayashi. 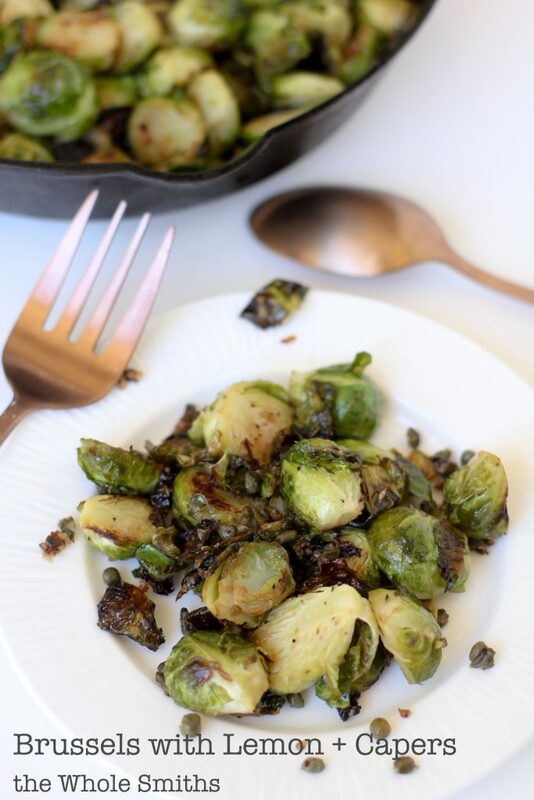 Because I already have what I like to think is an amazing brussels sprouts recipe on this blog, I wanted to change the flavors up enough that they tasted nothing alike but were equally delicious. I’d like to say I accomplished just that. I also wanted a bit of a lighter, zippier flavor profile. So in went the lemon, capers and some garlic which alone is winning combination. But add some crispy brussels sprouts and you have some veggies that just can’t stop won’t stop. I also encourage you to use ghee in the recipe when pan frying the capers. Or butter. But perhaps you’re avoiding dairy and ghee is a great alternative as it packs a ton of flavor into your food. You can use other oils such olive or avocado but it won’t pack as much of a punch. Don’t get me wrong, they will still be delicious but you won’t get that extra richness of flavor. Ok, enough rambling let’s get to the recipe. And yes, it is Whole30 compliant if you use ghee or a compliant oil. Enjoy! 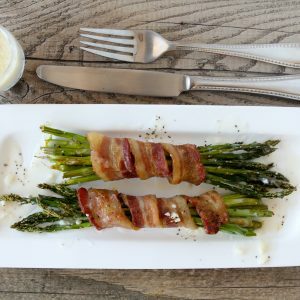 Double crisped and zesty! 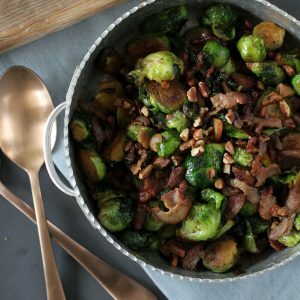 The perfect way to cook your brussels sprouts. Gluten-free, paleo, vegetarian, and Whole30 compliant. 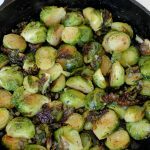 Thank you so much for sharing this wonderful easy and affordable way to make Brussels Sprouts delicious! The dish turned out wonderfully, and it’s something we make often now when we run out of other veggie dishes.